Revenge was taken on Shakhtar by The Composer in a scoreline identical from last game. 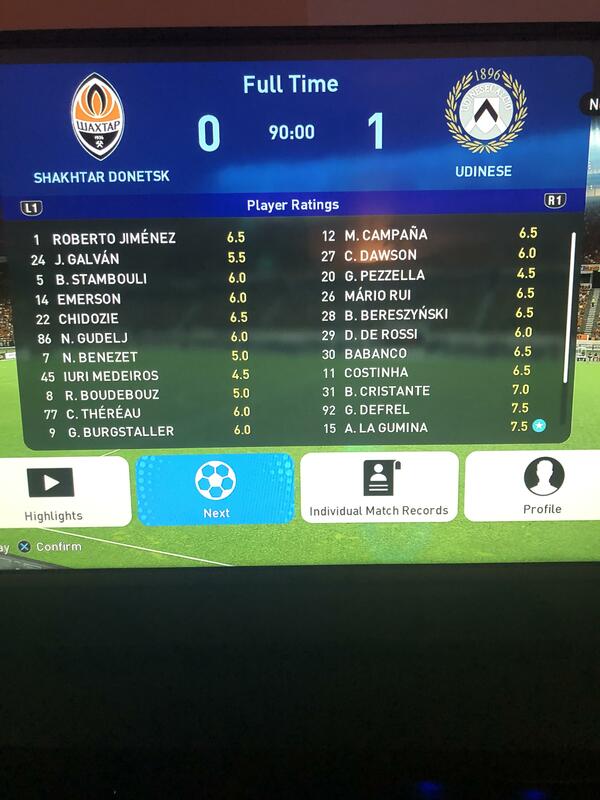 Shakhtar should've had an early goal but the ball just wouldn't sit kindly for Burgstaller to make it count before he was surrounded bu the Italian backline. Udinese kept chipping away and had a few good chances but Jiminez in goal was looking like a man possessed again. Shakhtar hit a spell where they struggled to create. The sale of Bernard hitting them in this area and was noticed here. But Udinese got their reward for being a bit more direct when Defrel passed along the 6yd box to give La Gumina a easy tap in. 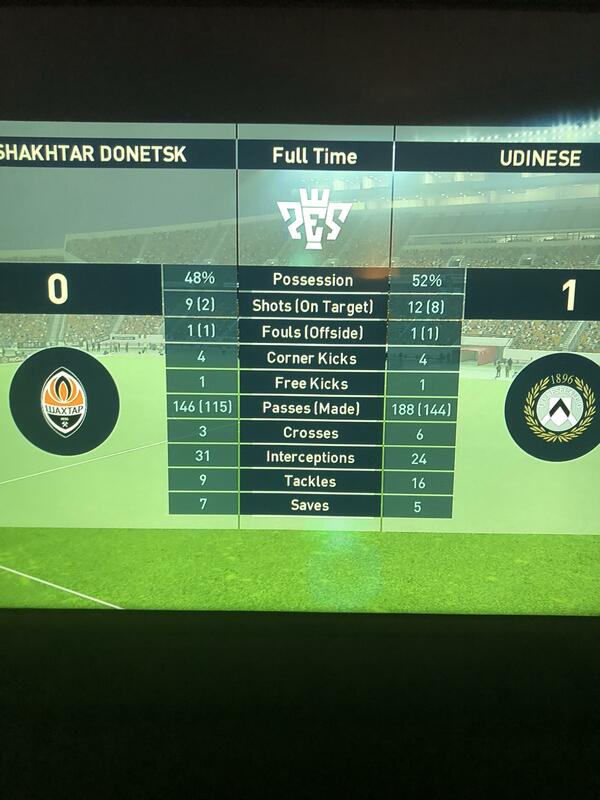 Second half Shakhtar fought back and controlled it for long spells but struggled to make it count. Udinese always looked dangerous on the counter but the game finished 1-0.